Buckingham is a large standard room located on the third floor of our Queen Victoria building. It is a wonderfully cozy room filled with period antiques including a beautiful marble top dresser and magnificent embroidered high backed Victorian chairs. 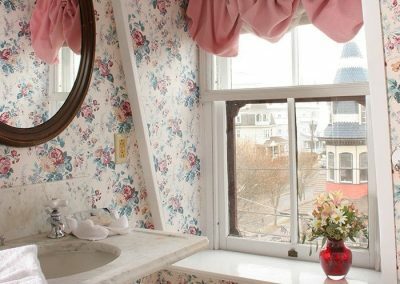 Buckingham’s large bathroom features a large, luxurious two person, two head shower and a wonderful vintage marble sink. 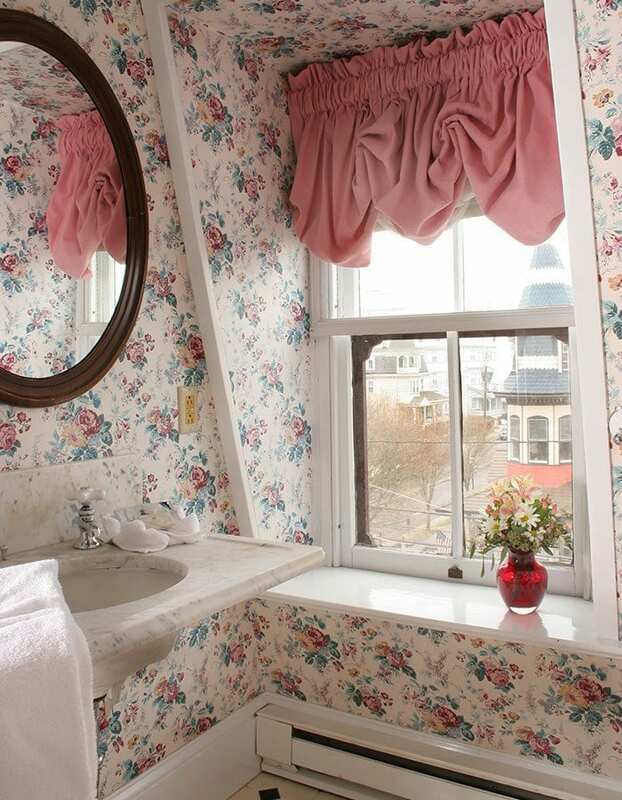 The room’s windows, which highlight the architecture of the building, are like a telescope into Cape May’s past. 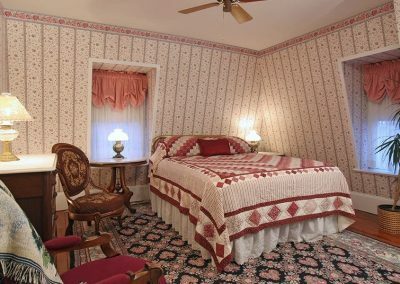 If you’re looking for views of Cape May, both the beach and the unique historic architecture of the Victorian part of town, you’ll love this historic B&B room. 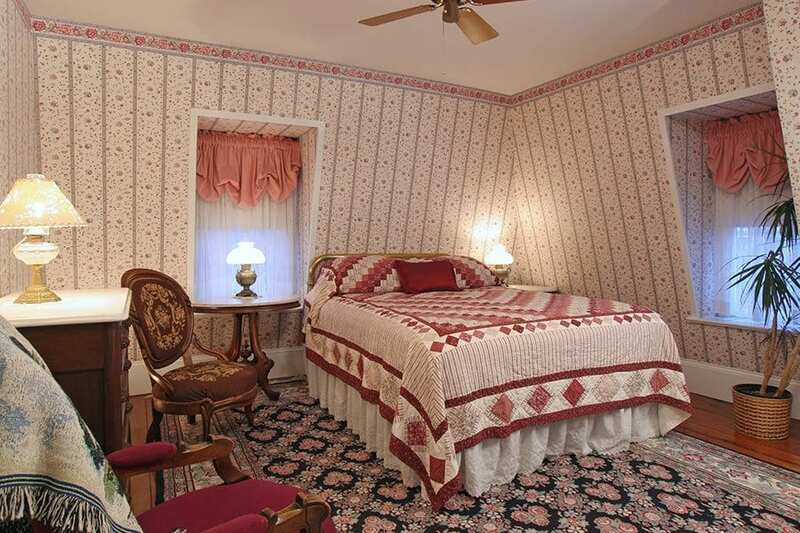 Treat yourself to one of the most relaxing Cape May, New Jersey lodging rooms by reserving the Buckingham online!